This CR and TCR Series uses the 2750 1″ control valve. 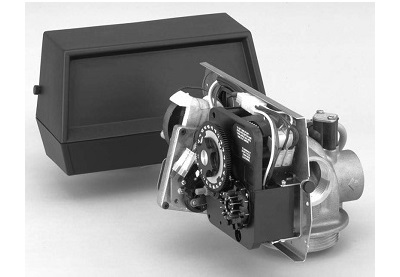 The CR and TCR series uses a 2850 1.5″ control valve. 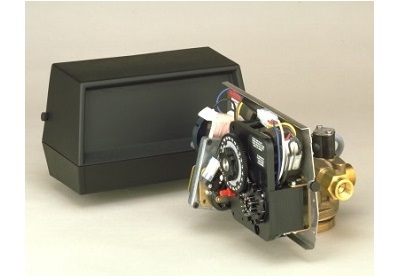 The CR and TCR series uses a 2900 2″ control valve. Resin inside the water softener is used as an exchange medium inside the water softener. The resin loosely holds the Sodium (Na+) ions and trades places with the Calcium (Ca2+) and Magnesium (Mg2+) ions. Once the resin becomes coated with the calcium and magnesium ions, it must be regenerated and flushed out so the exchange medium (the resin) can collect a new batch of ions….and so the soft water cycle continues.